Professor Aaron Michael Oquaye, the Speaker of Parliament, has proposed the creation of West Africa Electoral Commission to oversee the organization of elections within the Sub-region under the auspices of the Economic Community of West African States. He said the Commission would help in the registration and compilation of a common voters register throughout the Sub-region, with names of voters appearing only once in the register in order to curb electoral disputes and political upheavals that emerged out of elections. He said the Commission would assist in providing training for well-qualified electoral personnel and ensure adequate distribution of ballot boxes for all elections within the Sub-region. This, he said, would deepen democracy and the rule of law in the Sub-region. “If we have been able to create the West African Examinations Council, how come we can’t create West Africa Electoral Commission,” he queried. 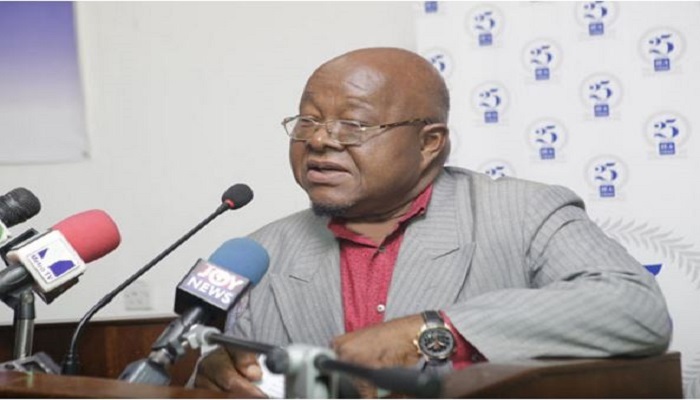 Prof Oquaye, who made recommendations at the 2018 University of Ghana Alumni Lecture in Accra, on Wednesday, said the move would help the Commission to assist in creating rules and regulations for elections in the Sub-region in compliance with global best practices. “It will help in the establishment of electoral courts which would ensure transparency and confidence in all electoral processes in West Africa,” he observed. It was jointly organised by the University of Ghana and the University of Ghana Alumni Association (UGAA), which forms part of activities marking the University’s 70th anniversary celebrations. The event provided a platform to discuss pertinent governance and democratic issues affecting the country’s body politics, which attracted the University’s Faculty and senior members, Council and Executive members of the UGAA, former Chancellors, Pro-Vice Chancellors and Registrars, as well as Members of Parliament, Traditional rulers and students. The West African Sub-region over the years has witnessed political conflicts resulting from disputed electoral processes. For instance, in 2011, the disputed elections in La Cote d’Ivoire led to conflict, with many people killed while thousands were displaced and sought political asylum in Ghana and other countries. There have been similar political conflicts in neighbouring Sierra Leone, Liberia, Nigeria, Togo and other African countries due to disputed elections. Prof Oquaye, who was the main speaker for the lecturer, also identified some intrinsic weaknesses in some governance institutions like the Presidency, the Council of State, the Legislature, the Judiciary and the electoral process and made some recommendations to address them. He, for instance, recommended the passage of the Affirmation Action Bill into law to enable more women representation in Parliament and other decision-making bodies, review of some provisions in the 1992 Constitution in order to sustain the country’s democratic governance and the need to examine the conduct and language of some Ghanaian politicians so as to avert any political upheaval. Meanwhile, Prof Ebenezer Oduro Owusu, the Vice Chancellor of the University of Ghana, appealed to the leadership of Parliament to fast track the approval of new fees for tertiary educational institutions in order to mobilise financial resources for their administrative operations. Currently, he said, the University of Ghana (UG) was burdened with over GH¢30 million budget deficit, and believed the approval of the fees would greatly improve its revenue generation and help address some administrative and governance challenges.